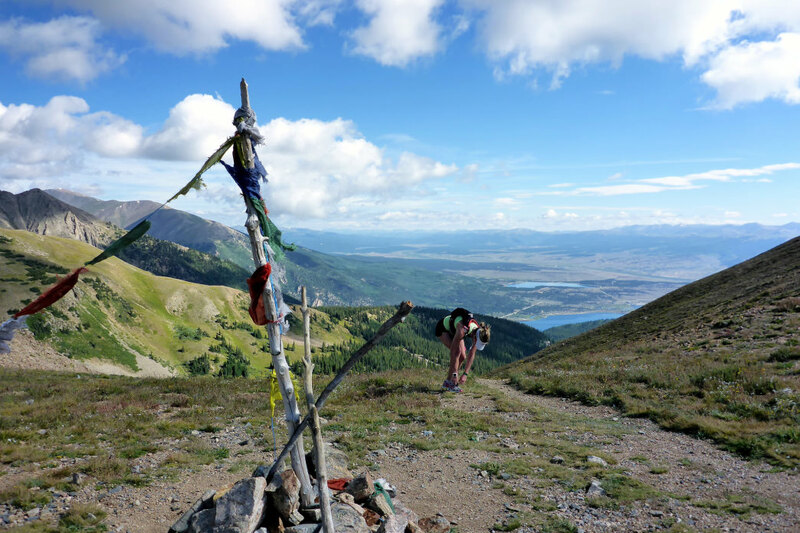 If you are into trail running, you may have heard of the TransRockies Run, an annual 3- and 6-day adventure through the Rocky Mountains in Colorado each August. Also dubbed “Running Camp for Big Kids,” TRR is an experience that is difficult to put into words. You’ll run through some of the most beautiful parts of the country, and you're pretty much guaranteed to make some new friends. Much like the greater trail running community, the TRR crew is welcoming, supportive, and ready to help in any way they can. I ran the 3-Day TransRockies Run this year for the first time, and even though I’d been following the race for a few years before I actually signed up, I was still taken aback by how well-organized and thought out everything was. While it’s quite an accomplishment for any runner to tackle, the TRR crew are the real MVPs. They do everything for you each day, including setting up camp, taking down camp, moving your stuff from each start line to finish, setting up the food tent, creating Chillville (where the beer is flowing, snacks are plentiful, and the charging station is filled with phones and watches), and keeping you motivated at aid stations throughout the course. You really just have to show up and make it from Point A to Point B. If, for some reason you can’t, they’ll help you with that, too. Whether you’re ready to sign up or you're still on the fence, here are a few tips you should know before the big event. This is not your local 5K where you get a t-shirt and a medal, and they call it good. This is an event that requires tons of planning, lots of staff, and the swag is sweet, too (you get a race shirt, finisher’s shirt, finisher’s medal, a giant duffle bag that you use throughout the race but you could honestly fit a small human in, all the food you can eat, and all the services I mentioned above). It also takes place over the course of three or six days, so that means you’ll probably be paying more than you’ve ever paid for any other race. Within in a month of registration opening this year, the event was 50 percent sold out, so expect to pay between $1,049-$2,099 depending on which event you choose and if you want a single occupancy or double occupancy tent. The sooner you sign up, the more money you will save. Another option is to wait until the following year and jump on the early bird registration as soon as it opens (usually the week before or week of the race). While it used to be all camping all the time, there is now a hotel option, and the staff will transport you to and from a partner hotel each day. This means you get to sleep in a real bed, take a bath, chill out, and watch TV—whatever you want to do. It costs extra, but is worth it to some people. The more popular option is to camp, which I recommend doing at least a night or two. You get to hang out with everyone, from the elite sponsored runners to the back of the packers. Sometimes things get a little rowdy, so if that’s your thing, go for it. Luckily, camping doesn’t mean you have to miss out on a hot shower. There is actually a shower truck (a converted tractor trailer) that allows runners to get a hot shower every day. There is also a trough sink outside the trailer so that you can brush your teeth, etc. There are plenty of port-a-potties at camp, too, so it’s a little more glamping than regular camping (though you do sleep in a regular tent). They’ve got physical therapists on-site to tape you up if you’re having a problem and massage therapists ready after each stage to help flush out that lactic acid. The massage therapists have a limited number of appointments, though, so sign up at registration to get the best time. This year, they also had a company with compression leg massagers that felt pretty darn good after running for miles in the mountains. Because I live in Colorado, I was able to get out and train at altitude. Throughout the race, the biggest complaint I heard was that many people were having stomach issues or headaches, and when we were climbing Hope Pass (about 2,500 feet of elevation gain in about 2.5 miles), people mentioned how difficult it was to breathe. 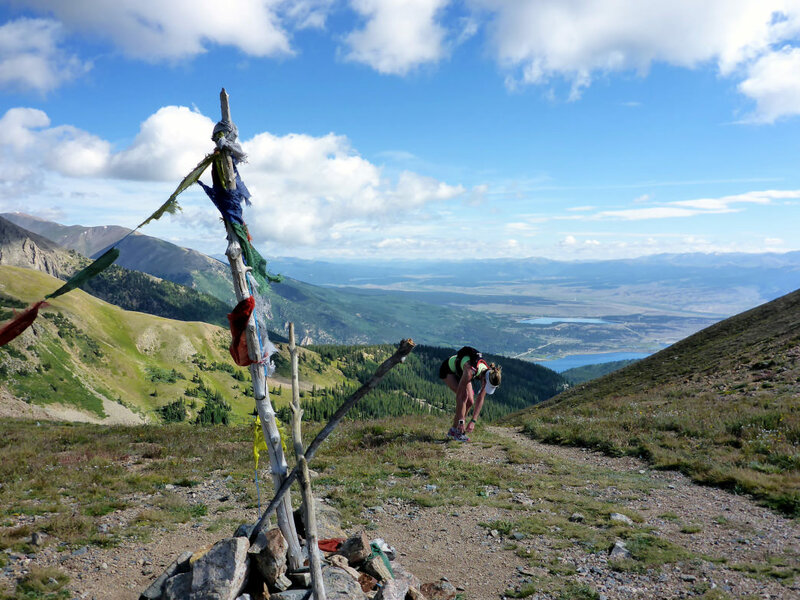 Ideally, you can get to above 10,000 feet, but even getting up to 5-9,000 feet will help. It’s not always possible to train at altitude if you live at sea level, but definitely get in some hill work. Run the steps up the biggest building in your town/city or up your local high school’s bleachers, set the treadmill incline and run up that, work the stair stepper—whatever you can do. The fitter you are, the easier that part will be. Don’t forget the mandatory gear (waterproof jacket, hat that covers your ears, gloves, emergency blanket). They will check for it before you start the stages that require it. Pack a smaller drop bag for the start line. You can strip down right before the race starts and have dry or warm clothes at the finish line. Bring earplugs. Camp itself wasn’t super loud when I was there, but the guy in the tent next me tossed and turned most of the night. When I finally put in my earplugs, I was able to get some sleep. Bring clothespins to hang up your wet clothing or towels. Wrap your charging cables in a piece of colorful duct tape or masking tape to easily distinguish it from all the others at the charging station. You can also use the tape to mark your tent so that it’s easy to find. Pack your entire outfit for each day in a separate Ziploc bag. This will make it super easy in the morning and will also give you a place to seal up your stinky clothes at the end of the day. Bring extra Ziploc bags. Keep a couple in your hydration vest in case it starts raining and you need to stash your phone or use one for trash when you go through your gels. The TransRockies Run was the first time I had taken on an event without being 100 percent sure I could do it. I’d never run a stage race and felt vastly underprepared. I quickly found out that I was not alone in these sentiments, and that’s what makes TRR so great—you are part of a community, and everyone is in it together. I’ve been a runner for 20 years, and the TRR volunteers and staff are the best of any race I’ve ever attended. I am eternally grateful for their enthusiasm and encouragement. I was a back of the packer for the first time in my life, and still had a great experience. I never felt like I was less important than anyone else in the race, and at the end of the day, we all crossed the finish line one step at a time.